Seeing as the preview quotes are rolling in, it's time to think about Round five of the season as Formula 1 heads to Fernando-Land, also known as Spain. Sadly that terrible chicane still exists. Spain has been affected by unusually wet weather throughout 2013, so there's a chance of showers. I know the GPs are typically quite bland, but I still like this track. Shame they haven't done away with the silly chicane. Boring track. No overtaking whatsoever, but hey, three weeks without F1 I'll takes it! tderias wrote: Boring track. No overtaking whatsoever, but hey, three weeks without F1 I'll takes it! I like races with fewer overtakes, and I used to love races in Canada and China, but now it's just boring, cause of all the free DRS overtakes. You don't get that special feeling anymore. ok, back to the race... I think Alonso will win this one if he and the team don't screw things up. Barcelona has always been a great track for the drivers and the team, the one place where the strengths and weaknesses of any given package are the clearest to see. It used to be a dull show for the fans but with the help of KERS, DRS and the tyre degradation factor (assuming Pirelli don't go too conservative on that one), I reckon there's plenty of good racing to be seen there in 2013. Very hard to predict the hierarchy, as usual: most teams will be trying out significant upgrades. RBR still are the team to beat, with Ferrari and Lotus looking in the best shape to attempt doing so. WTF is wrong with you guys? Don't watch F1 if it's so "boring". Anyway, Alonso is probably the best bet for the race win. 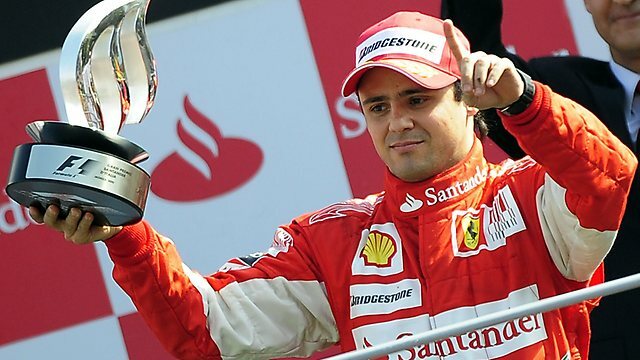 No driver has won the Spanish GP twice since 2006, so it could be interesting. The last few Spanish GPs have been quite good. In fairness, a few before that were dreadfully dull. Go Vettel Go! Pole and win the race! phil1993 wrote: The last few Spanish GPs have been quite good. In fairness, a few before that were dreadfully dull. It will be like this all season. You can't blame Marussia if he's paying $$$ He replaces Chilton this time. It's that stupid chicane that's preventing overtaking on the main straight. The concertina effect as they exit the chicane means the following car will always be too far behind to make a move stick down at turn 1. I don't care about the chicane or without the chicane; its boring as hell. Ether wrote: Go Vettel Go! Pole and win the race!